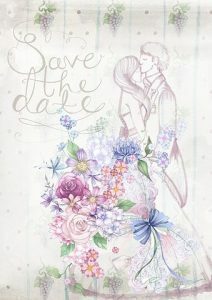 Save the date cards are essential for securing a day for your wedding and making it known to keep that day free! Sending out those envelopes will also create anticipation for your event and keep your wedding planning schedule on track. It’s true that it’s not necessary to make save the date cards, however, it’s a good idea if you want to ensure that your guests know to keep their schedule free. Sending them out will mean that more of your loved ones can attend your ceremony and reception. Here are some key factors you should consider when creating the save the date cards for your special occasion! Save the date cards are usually sent out six to eight months before your wedding. This allows for a sufficient amount of time for guests to book holidays around the occasion or plan to travel to the host location. 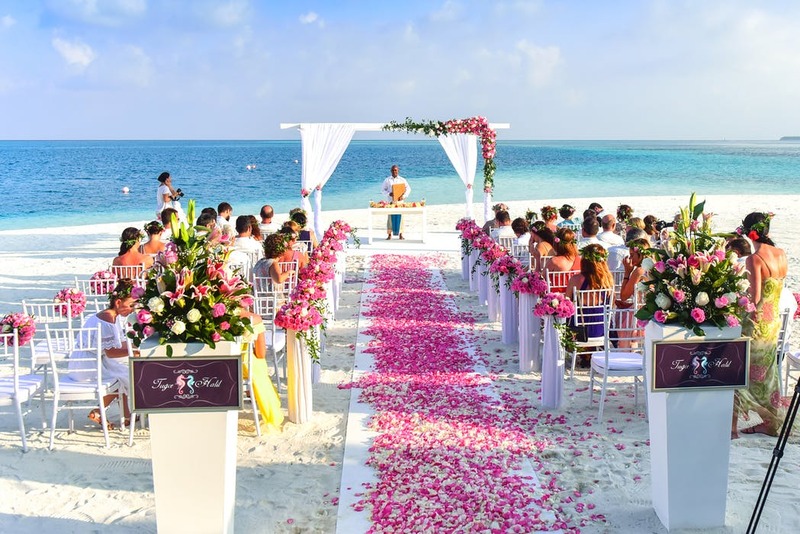 This is particularly useful for guests that are living in different states or if you are having a destination wedding. In such cases, it will be necessary to make travel arrangements to attend, so you should respect that and inform your guests as soon as possible! However, sending out these notes as early as a year in advance might be inadvisable as guests are likely to simply forget about it due to the long waiting period. Sending them too early might also be regrettable if details change later on. Even if you are having a particularly short engagement or don’t plan to make it an extravagant affair, making save the date cards will secure that day so that you can make sure your beloved friends and family will be there. Save the date cards should be extremely minimal, with just the bare minimum details about your event. Simply having your name and your fiancé’s name, the date, the city your wedding will be hosted in, and perhaps your wedding website is all you need. You won’t need to have a venue secured, even though it is a good idea to get that sorted before you decide on a day. Ultimately, these notes are just a small note for your guests to keep their schedule free. Your wedding invitation will lay out the details and your wedding website can go into more depth as well. Keeping it minimal will allow them to look more visually appealing and make for nice mementos. Unlike wedding invitations, you won’t need to worry about matching the design to the theme or feel of your actual event. Because save the date cards are sent out months in advance, you can be more playful and informal with the design. This is a great time to come up with something that represents you and your partner well, showcasing your personality and creating excitement for your event. Add illustrations or motifs which represent your relationship and take liberties to create something special to the both of you. Digital save the dates are becoming a lot more common, as snail mail falls behind. This is understandable as most individuals communicate via digital platforms, so it becomes easier to reach and notify guests through digital means. Considering that physical mail does take much longer to send, it is a good idea to send out a digital copy as well. This will ensure your guests should at least receive one copy without fail. A physical copy can also act as a nice memento. Ultimately, all that matters is that you and your partner are happy with the design of your cards and that they are functional!